Illustrator and The Keen Eye’s Sky Nash is all about looking at the upside. Birmingham born and bred, Sky now see’s London as the city of opportunity. Such opportunity only counts for something if one makes it happen, and make it happen she certainly does. 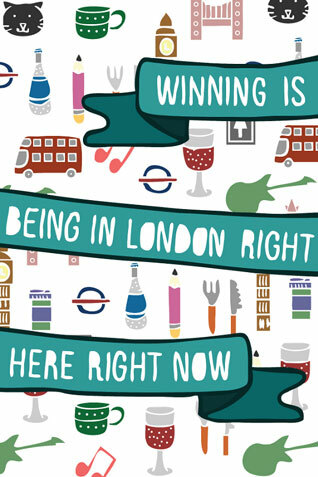 With that said, the words and sentiment of this winning poster starts to make an awful lot of sense.